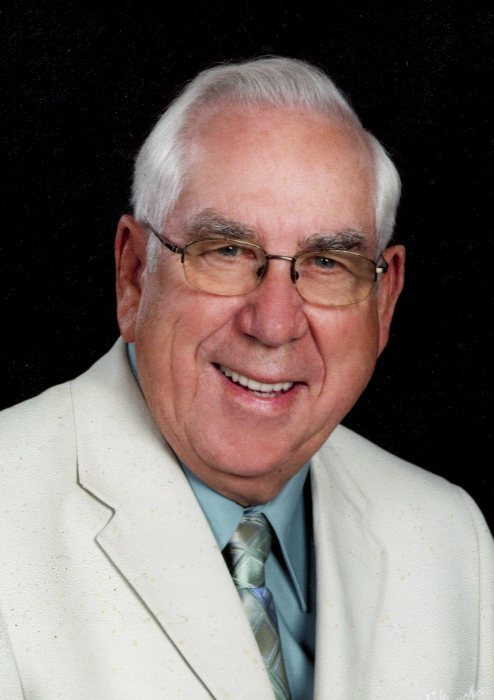 David “Dave” Curtis Taylor Sr., 88, of Urbana, went to be with the Lord at 12:23 a.m. on Friday, January 25, 2019 at home. A visitation will be held from 5:00 to 7:00 p.m., Friday, February 1st at Renner-Wikoff Chapel & Crematory, 1900 Philo Rd., Urbana. Funeral services will be held at 10:00 a.m., Saturday, February 2nd at Bible Baptist Church, 4001 W. Kirby Ave., Champaign, with Pastor Mark Smith officiating. Burial will be held at Grandview Memorial Gardens in Champaign. Dave was born February 3, 1930 in Mayview, Illinois to parents Curtis H. and Ada M. (Ayers) Taylor. He married the love of his life, Edna Ruth McConaha, on September 14, 1951; she survives. Also surviving are their four children: Karen S. Taylor, of Urbana, Illinois, David “Curt” Curtis Taylor Jr. (Lisa), of Champaign, Illinois, Rita J. McCoy (Chris), of St. Joseph, Illinois, and Brenda K. Kaufman (Greg), of Orange Park, Florida. He is also survived by one sister, Martha Allen, and seven grandchildren: David C. Taylor III (Rachel), Nicole L. Owens (Tory), Laura K. McCoy, Lisa C. Winkler (David), Aaron G. Kaufman (Kelli), Nathan T. Kaufman (Kelly), and Justin D. Kaufman (Becky). Nine great-grandchildren survive including the youngest, Amelia Marie born in July 2018. Preceding Dave in death were his parents, grandson Brian G. Kaufman, and five siblings: Carl and Bernard Taylor, Roy and Paul Roper, and Shirley Spagnolo. Dave was a dedicated husband, father and grandfather, known as “PA”. His joy in life was spending time with his family and watching his children and grandchildren grow. He had a great sense of humor and enjoyed visiting with friends. He enjoyed traveling and seeing new areas. Dave coached his son’s baseball team and was a Cub Scout Leader. He enjoyed watching his grandson, David, participate in sports, especially baseball, throughout school. Pa enjoyed Nicole teaching him as a young girl and watching her loving interaction with her daughter, Amelia Marie. Dave was a member of Bible Baptist Church. He served in the Army and later the National Guard. Dave was a member of the AMVETS, serving on the Honor Guard. Dave was a sheet metal craftsman working for Bash Roofing Co. for more than 35 years. He was hardworking all of his life and liked to work with his hands. Some of his work includes the steeple of what is now the First Mennonite Church of Champaign-Urbana on Lincoln and Springfield Ave.
After retiring, he was able to visit Mount Rushmore, the Statue of Liberty, the White House, Arlington National Cemetery, the Philadelphia Mint and several presidential homes, libraries and museums. Dave traveled to Niagara Falls, Hawaii, Alaska and several other states. He enjoyed country music and taking trips to Branson, especially experiencing the live theater at Sight and Sound. Dave also visited the Precious Moments Chapel several times in Carthage with his wife and daughter. Memorial contributions may be made to Bible Baptist Church, the American Heart Association, or an organization of the donor’s choice. Condolences may be offered online at www.renner-wikoffchapel.com.